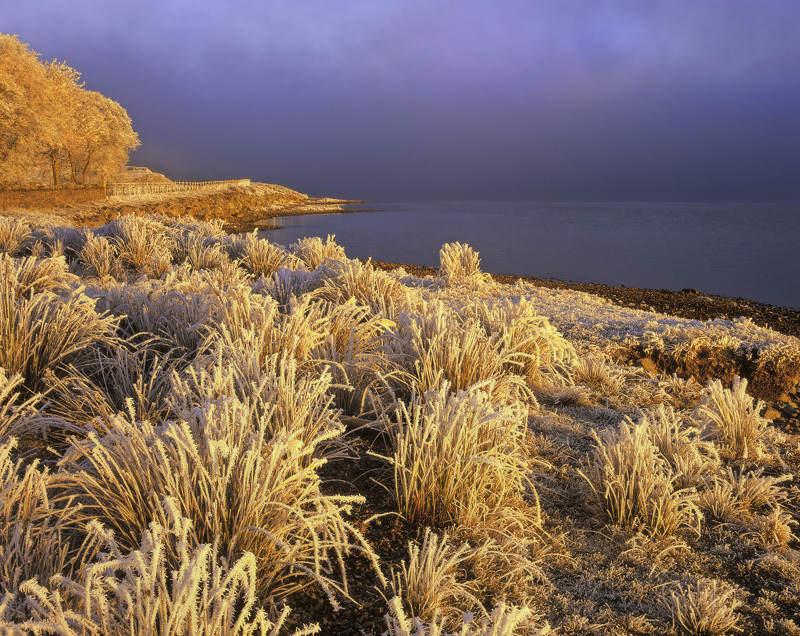 The most outrageously gorgeous light I have ever had the good fortune to witness lasted but thirty seconds as the sun peeped beneath the stormiest looking sky imaginable and turned every frozen blade of grass and ice encrusted fence to spiced ginger. I confess the manual winder on my old Pentax was hot to the touch and consumed film at a rate previously only dreamed of. More to come in the series but this is my current favourite of the images I took and goes straight into my 3 dozen best shots.